I have been thinking about both Business and Humanity repeatedly. The above quote was one that caught my attention. This blog was due in Sept 2014. Yes a lot of things come in mind and thus ideas get spread, and forgotten at times. I revisited this title with reference to an interesting news of recent past – Donating the milk of human kindness. This kind of businesses and business ideas impres s me a lot. There are a lot of social enterprises that work on the balance between Business and Social good. I have written a couple of blogs on social enterprise earlier. At times it is very difficult to survive in competitive markets with such a cause. There may have been a lot of other companies that probably we (I) might not know and were wound up due to financial crisis. When such closures happen, I start questioning myself again – what is the purpose? Why we work? and many other such leading questions. These points make me wonder many a times, that perhaps when we did not have the concept of money, humans were valued more. With Humans, human values were respected more. With human values, we probably were more caring, just and welcoming. The other thoughts going on in my mind were – my recent vacation to Ganpatipule and a video clip of actress Mahira Khan which is going viral of late. In Ganpatipule I visited “Prachin Kokan” a tourist attraction there. It is a place to know about how was Indian social fabric in past, for those who have never lived in Indian village or are kids growing up in tier-1 or tier-2 cities in India it could be a place to know how was our society. Though caste system was depicted there, I could not find a mention to “untouchables” there, so I may be able to write on what was wrong in past – compared to what we learnt in schools. In that museum I could relate to business and humanity working together in historic India – such as a bangle seller would not take money from a baby girl of village. At the time of the girl’s marriage, father of the girl will give this bangle seller gold coin or something. I wonder if we were less ambitious (perhaps driven less by wealth) – as a society – during those times. I could relate this museum and that society to gratitude. Gratitude, made me connect to the opinion and viral video clip of Mahira Khan. In this video I felt that if this actress had problem with India she should have refused working here. Though the interviewer is talking more in the clip, but if a person has so much issue with a whole country he or she should just keep oneself away from them isn’t it? This shows a person being opportunistic and thankless. This thought makes me go round to business. The actress is doing business, by acting in Indian movie. Agreed! The question again comes back – can we club or say compromise – “business and humanity” and “business and our self-respect” and “business and our values”? Disclaimer – author has not seen/visited the website of BabyChakra (referred in the donating the milk of human kindness), nor is related to the company. I have started watching a SitCom – Dharma and Greg. In one episode Dharma (a strangely spiritual women), does Random Act of Kindness. She gets into trouble as a Policeman fines her. Well, I shall write on the serial sometime later. I thought to take up this point of “Random Act of Kindness” in this blog. I have written on Can money buy Happiness? earlier, however here is another take. Though, upto an extent yes Money can buy you happiness, yet beyond that threshold “value of money” does not add any “value” to one’s happiness – point of diminishing returns. I received this video from my brother on WhatsApp. I am sharing this video here, do watch, if you like do share as well. After watching this video you may say why do such thing? People will be “tempted to find such person” on daily basis! Just watch the video and feel free to share it, like it and write your opinion on the comments box below. It is my birthday today – 26th Sept. So instead of waiting till weekend (starting tomorrow), I thought that let me share this blog on my Birthday. Will you share some Random Act of Kindness with anyone? May be today? Not necessarily me [jokes apart]. Anyone who is in need. 3 idiots, Chinu, currency, Currency for the future, DLF, DLF and Robert Vadra, measurement of success, Money, Prof Harkant Mankad, robert Vadra, Staffi Graph, Trust, What is money? In his class, Prof Mankad asked us “what is money?” He answered – “Money is what is accepted as money”. Very apt definition. Here I am taking small freedom to change it a bit. I am changing the word “accepted” to “trusted”. Of course trust is a very heavy word. We have built a concept “of money” on trust. The question is where is trust? On a lighter note – There was a time when banks did not trust each other (recession of 2008). I have heard this idiom – “put your mouth where the money is.” Should money be replaced with “trust”. I was watching 3 idiots last Sunday and thought that kids like Rancho (character played by Amir Khan) – who could solve problems of class 10th while studying in class 6th – are not that rare in India. You go to Super 30 in Bihar, or any institute in Kota (Aakash, Bansal etc) you would encounter many such kids. Then what happens? Why don’t we see such extraordinary kids as stars of tomorrow? Because in future all these kids realize that the only measurement stick (metric) this world has is – Money! See the video of Staffi Graph – how much money do you have? Well, I am not blaming Staffi for that. This is just a representative video of our society. The measurement of success is how much money do you have? Not how did you get it. Also, the measurement is not how satisfied or happy you are? When these extraordinary kids get out of college, are paid enough and more so that they do “what the company wants them to do”, not what they would want to do. Most of them choose to accept that offer because measurement metric for the society is – Money. The day I started writing this blog I also had a brief discussion with Mr Shreekant Shiralkar and he was of the opinion – Money becomes immaterial after a certain time, what you do, what satisfaction you get from work and the trust you build is important. When he said Trust his thoughts were different compared to what I am presenting here. However, what I feel is the currency for future should be trust you build, the good you do to the society and how satisfied and happy you are. I was watching Padosan (Old Hindi Comedy movie). The movie is interesting and I came to know that it has been made in different Indian languages. In that movie the protagonist (Sunil Dutt) repeats a couple of times an ancient concept of Hindu culture. The concept is Ashramas of human life. According to these Ashramas there are four stages of life each divided in roughly 25 years duration. These duration and our current life style made me think. I have always been wondering about what we want? We all have been running, some know why, some do not know why are we running? Many of those who know are running behind money, other few are behind fame and so on. Yes money is required to fill our stomach on a daily basis, is required for basic amenities. Beyond a certain point do we still need money? Yes! When we are not satisfied with what we have. We run behind something either closing our eyes or because we can not think of anything else. Whole life we have been running behind money, if one day at an age of 60 we are told – ‘stop it!’ For some time we would feel uncomfortable what to do? Then since whole life we have been doing just one thing we would start the race again. Unknowingly money becomes purpose of life, if this running around wont be there we wouldn’t have any reason to survive, right? 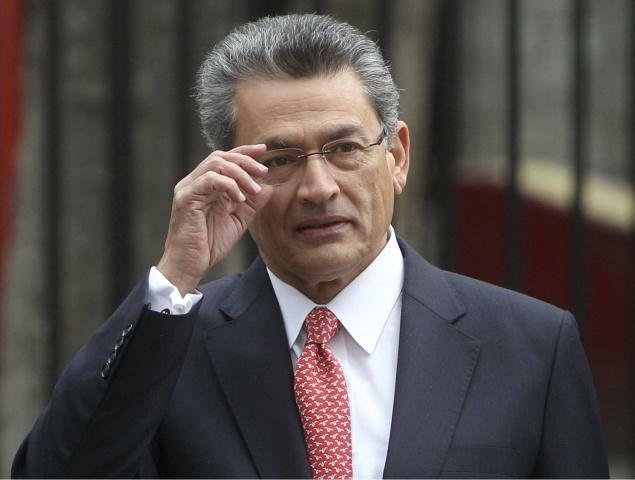 With due respect to those who have made a lot of money, I was wondering about a recent case of insider trading, involving Mr Rajat Gupta. Mr Gupta made it big in the corporate world, proved how successful a person could be. Yet in a recent court case sentenced for 25 years imprisonment. The reason – an inadvertent (probably) or wishful (probably) – sharing of boardroom discussion. I was seriously wondering what more a person needs? You are famous, you are rich and you have had a very successful life, what more? 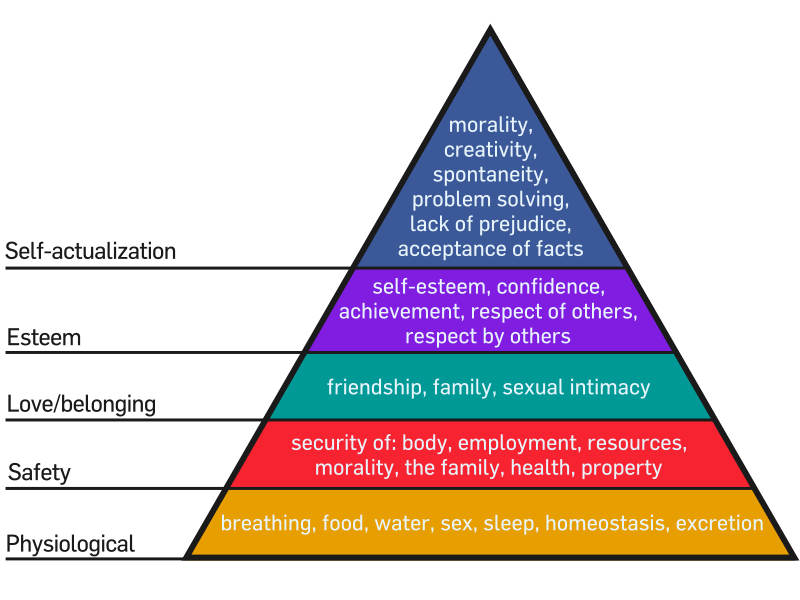 Maslow‘s needs need hierarchy theory seems to have failed us repeatedly. There seem to be no end to the level of ‘Esteem’. What more we need to move beyond Esteem to self-realization? Money – what is it? This was a very candid question Prof Mankads asked once – ‘What is money?’ and he answered – ‘Money is what is accepted a money.’ True, money is what is accepted as money. Humanity needed some tangible measure so we deviced various forms of money at various time. For example at the time of barter system ‘everything’ was weighted against the other. So everything was acceptable in trade as money. Then came matels and now paper and plastic money (credit cards). I started thinking if we needed something tangible as money what if we made something like Camay (soap) a currency? If some other things be made money what would happen? Take an example of age – everyone would gradually get money. Fun or being funny – comadians would have maximum money in the world. Seriousness – patients in extremely intencive care units. Trust – Indian politicians or politicians in general would stand nowhere. Spirituality – the spiritual masters would be at the top, one I know is Sri Sri Ravi Shankar. Now if we ask ourselves – who is rich? The simple answer is one who has ‘more’ money. ‘More’ is contextual (adjective). Now, if we take money as fun, being happy or being funny. How many of us are rich today? Kids in school are competing, people are jealous or many of us have only instant gratification and long term sorrow. Not many of us are rich! Has money made anyone happier? I think everyone of us has to identify what we want from our life and that one or few things would be The thing(s) which would make each one of us Rich (not necessarily Money). Of course, this richness should not come at the expense of others or harming others. “There are some things money cannot buy…” I am not talking about Master Card! Generally speaking, I was thinking that there are many things money cannot buy. In fact, the Buddha left his whole empire! He too knew there are “somethings money cannot buy”. This is where I had two minds, and thought to share these thoughts and request for feedbacks. The first and foremost thing money cannot buy is LOVE, you are a better judge for this. Other important thing is happiness, in a spiritual context ‘bliss’. Sometime back I decided to leave a very lucrative offer the reason was I knew at my heart of my heart, I would not want to do this work and would not enjoy the work. The other option was – nothing! So, it was a tough decision to leave something (something immensely rewarding) for nothing. Recently, I met one of my friends (he knew my previous decision) his first and repeated question to me was – ‘Are you happy?’ And all the time my answer was – ‘YES, are not you happy with what you are doing?’ His response was with many riders – “yes for ‘X’ I am happy, but because of ‘Y’ I have some issues, you know this and you know that and this is what and whatever whatever etc”. I thought we take so many decisions “for” or “because of” some or the other things e.g. money. We tend to give drivers seat to our ‘mind’ for making criteria and decision too, while a rear seat to our ‘heart’. Relationship, emotions, all these relate to heart and we largely overlook these while making decision. However, being human we are driven largely by emotions and therefore there has to be a balance between rationality and emotion in decision making too. Then came the second perspective – if one wants to be happy no one can stop him/her from being happy. Happiness is a very personal matter. Two persons in similar circumstances could have different feelings (one ecstatic and other wretched). Peace of mind cannot be bought in the market, it has to be felt. If it has to be felt, why cannot one be peaceful while doing whatever he/she is doing? … So the dichotomy is – do we make decision based on few factors and that is the reason for us to be happy or we are happy because we want to be happy and irrespective of the decision we make or irrespective of what happens in our life. The question to ask is – happiness requires fulfillment of the CONDITIONS we create for being happy or it is a feeling irrespective of what happens in our life/to us? These conditions, to me, are never ending… as it happens to the squirrel in Ice Age-Trilogy and to Chaipau in Salaam Bombay“. Dichotomy of happiness is you decide on what you enjoy doing or you remain happy irrespective of the situation you are in…. Related blogs – Cause…, the Middle Path, No judgement its all about perception and Balancing Act, When will we stop? I remember an opening of Prof Mankad’s class. He asked ‘What is money?…’ and so on and so forth. Money is what is accepted as money. The trust of acceptance gives value to money. Irony is this TRUST. This concept e.g. money creates maximum MISTRUST. The concept which, I believe, we think gives power, empowers us, creates fear of losing it. Money which should give us some security creates insecurity. Is not it an irony? I heard someone (If I recalled correctly it was Osho) saying – opposites are always together, if opposites are not together their value is nothing. White is white and does not hold much value if Black does not exist. Lord Rama and his values were/are magnified by none other than the existence of Ravana. If Jesus were not crucified we might not even have found records of him or might not have bothered about his greatness. For safety and security of our ‘Nation’ we buy/make arsenals and prepare for wars, is not it an irony? Good people are good because their are bad one’s out there.